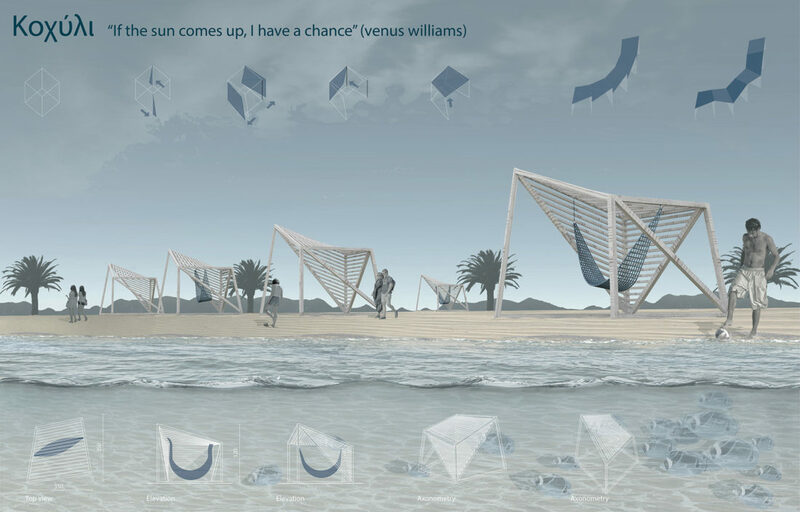 Having Cyprus’ amazing year-round cloudless setting, contributed to our choice to design the shelter. A shelter as a concept exists as long as mankind. The structure itself explores the anthropological relationship between man and the natural environment. Therefore it needs to be an synthesis of well-being, relaxation, comfort and tranquility adapted to the specific weather. Our project aims to satisfy these needs by a sustainable design that would blend with nature by the choice of materials.